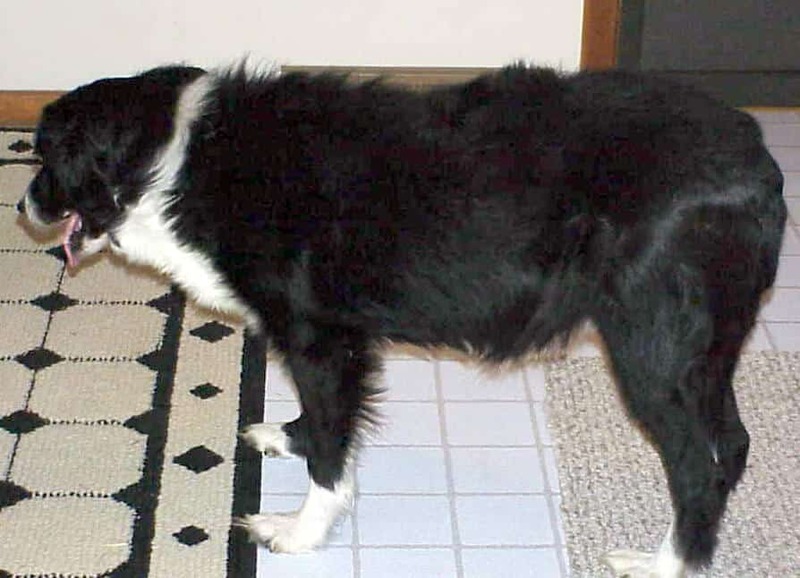 My name is Carla Murray and Mark is my champion sheep-herding Border collie that was given too much Prednisone over a lengthy time. His back and most of his joints calcified. He lost his hair, and remains extremely anemic. More than one vet that saw him told me that by all rights he should be dead. He never gave up, so I haven’t either. Mark’s illness began a week after Mark had won the Ranch division in a sheepdog trial at the end of May 2000. He was diagnosed with Ehrlichiosis, a tick disease that is usually accompanied by bleeding through the nose and sometimes eyes. He never showed any symptoms other than being extremely anemic. Two other of my dogs tested positive also. 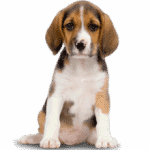 They were all given doxycycline for 6 weeks. All the other dogs healed and tested negative, but Mark had a relapse and was put on Prednisone along with the doxycycline. It continued and I became extremely worried about his condition. The symptoms were: Hair loss, loss of muscle, extended abdomen, and no energy. We had blood drawn every week and he kept deteriorating. We went to a specialist to see if there was a tumor or something internal contributing to the problem. The vet also did a bone marrow test, but nothing showed up except an enlarged spleen and liver. She recommended that Mark keep taking the Prednisone and antibiotic. He still tested positive for the tick disease. Now he began to develop sores at his elbow joints and on the pads of his feet. I bathed his back and treated the calcification like a burn. We used the same medicine on him that they use on burn victims. My husband is a pharmacist, which helped us get the best medicine. By October 2000, I had decided that the medication was killing him and consulted with a professor at OSU vet school. He was appalled to learn how much cortisone Mark was taking. I decided right then to get him off the medicine and over the next month slowly stopped the medications. 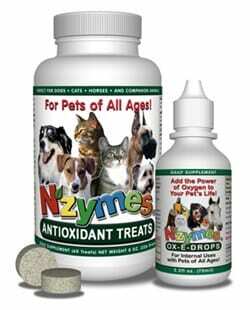 At the beginning of December I learned about NZYMES® Antioxidant Treats and Ox-E-Drops online and ordered right away. Well, Mark started improving immediately. 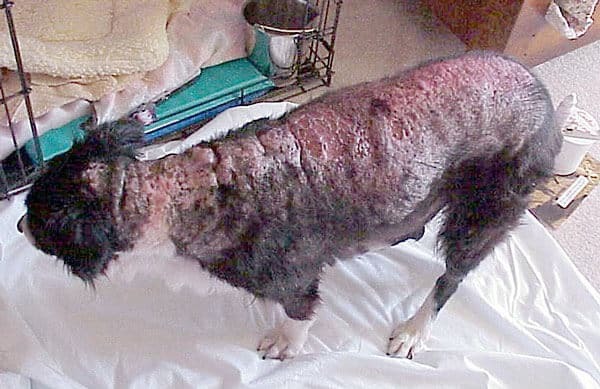 Within 2 weeks, he was growing hair, his muscle mass started to return and the sores on his back and joints started to get better. His mobility improved significantly. Over the last two months, his spinal calcification has slowly started getting better near his neck and shoulders, but we expect this will take a long time (if at all) to improve. He continues to eat, drink, and eliminate normally. I didn’t get to say how much your product has meant to us. Rather than more inserted photos, see Mark’s recovery journey in the Video below! 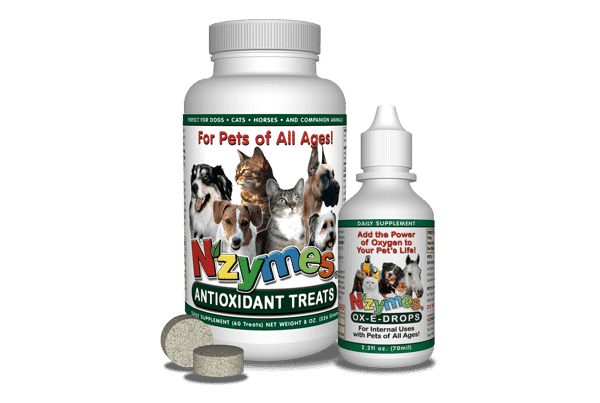 I know that without finding NZYMES® Antioxidant Treats and Ox-E-Drops, Mark wouldn’t be alive and in such good shape now. 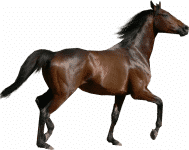 These helped my dog so much I ordered NZYMES® Granules for my horse and Antioxidant Complex for myself. Because of the way you care about animals and keep in touch with their owners, I’m sure you will be a great success. Mark is truly the Miracle Dog! This is just a little note to let you know that our Mark is doing great… after his spleen was removed and all. His calcified back is slowly but surely softening, and he runs like his old self!! I took him out and let him work the quinnes. He enjoyed every minute!! He is just a wonderful dog! Thanks for helping him regain his vigor. Products Used with Mark’s Recovery from Calcified Skin, Etc.